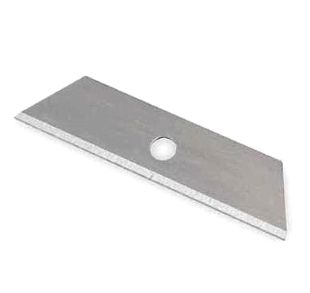 Hardened Carbon Steel Blade, 5 per pack. Used in roofing felt slitting knifes. Cuts roofing felts, TPO, PVC, EPDM and others. Blade may have a square or a round hole.